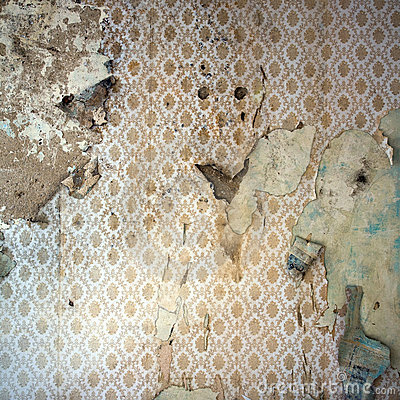 A few years ago, my husband and I were making painfully slow progress on stripping wallpaper out of a bedroom. 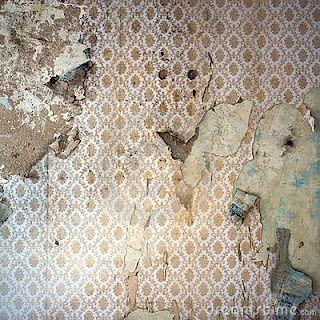 This home is old, and each layer of wallpaper seemed to reveal another decade, another 'style'...and now, a whole other century. Even our ceilings have layers of wallpaper, painted over with white paint. It's my nemesis. For a very long time, I detested anyone who would ever cover a wall with paper. There was one layer, mid-way through that grabbed my attention. In beautiful penmanship, a man had signed his name and the year...1912. And here was the greatest mystery of all, penned on the hated wall paper. I wish I had kept that scrap of paper. With all my heart, I wish I could go back and carefully peel that paper off the wall and frame it. I look back at the signature as the greatest gift my home has ever given me. When I stood staring at that wall, I could almost smell the man's hair oil, as I picture him a dapper gentleman...creative...the boy version of me (though my craziness would more than likely prevent me from achieving perfect 'gentleman' status). He would wear a plaid shirt, tucked into plain trousers...and suspenders!...and shoes splattered with just a touch of paint. He would have a mind, a gift from the Lord, that looked at the world and found it possessed plenty of scope for the imagination. Hopefully, he knew God's word and allowed it to inspire greatness in him. I pray loved others with an undeniable passion. When he last day came, he would have smiled and had no regrets...remembering his name was hidden away...just for me. I've told people that I want my home to look as if I own a time machine. I want it to be a place that captures the imagination. This morning, when I was sipping my coffee and thought back on that signature, I realized that God built that 'look' into my home long before I would even take my first breath. He already knew I would be here, trying to leave my own mark on this home, scraping away at the walls, and made sure that I found the message left in the old layers. The Lord loves me. :) It brings tears to my eyes...thinking of what He did, in the spring of 1912...whispering to the gentleman to write on the wall. "You see, Andrea, my darling one, will see this one day." He would have explained, "She will love it. And because she loves it, the moment she finds it, will bring joy to my heart." My home truly is my own little time machine. Thank you, Father, for the gift. Please let me find another one, and remind me to save it...and frame it. May we always find the little treasure of mystery that you leave us with.